Explore your world with a vehicle that can truly keep up with your demands. As the newest in a line of cars that has a prestigious heritage for being rugged and sturdy, this vehicle is designed to help you take control of the road and get to your destination with ease. Come down and explore all of the options available at our dealership, and we will help you to get a fantastic new vehicle that has the latest technology and safety features to make your trip better. 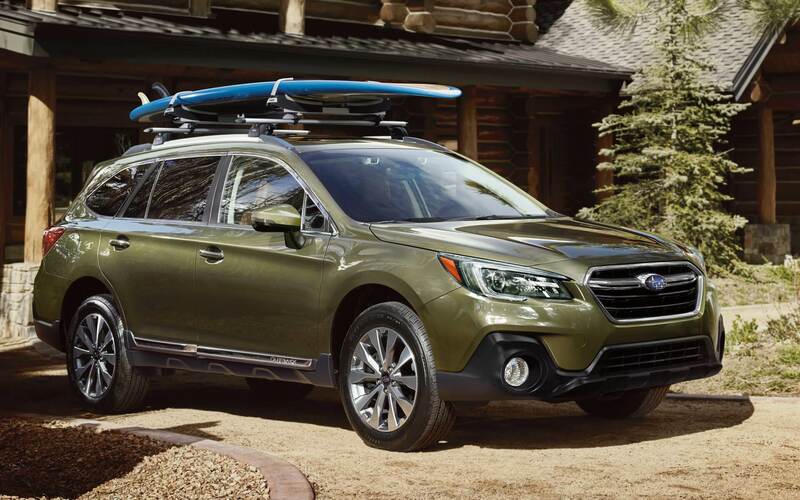 Contact our dealership online, by phone or by stopping by Flatirons Subaru in Boulder Colorado and ask about our incentives on the 2018 Subaru Outback. The 2.5i Limited, 3.6R Limited, 2.5i Touring and 3.6R Touring models come with a standard power rear gate to make it easier to load and unload your vehicle. You'll be able to get ready with the push of a button and enjoy all that life has to offer with the incredible new features built into the vehicle. If you have a low garage or clearance is limited in some way, you can adjust the height so that the door doesn't hit the ceiling. The vehicle also comes with a host of features that are designed to ensure you get the best possible ride for your situation. Come down and explore the aerodynamic exterior that helps to reduce cabin noise and get you to your destination in style. 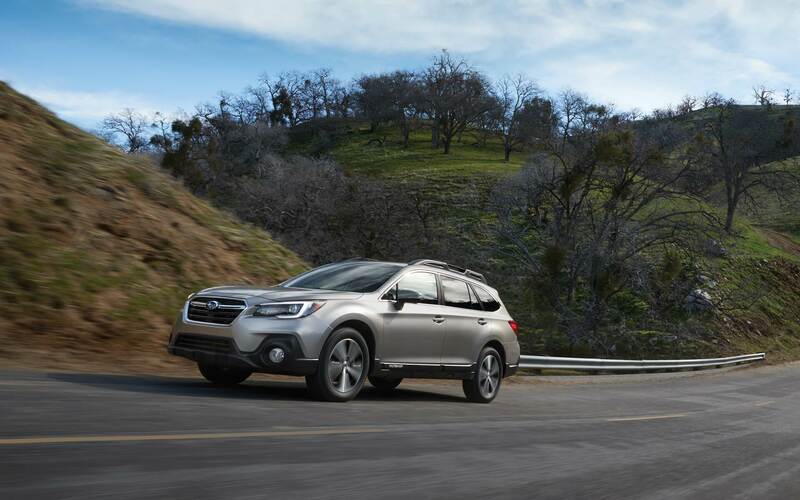 Contact our dealership online, by phone or by stopping by Flatirons Subaru in Boulder Colorado and ask about our incentives on the 2018 Subaru Outback. 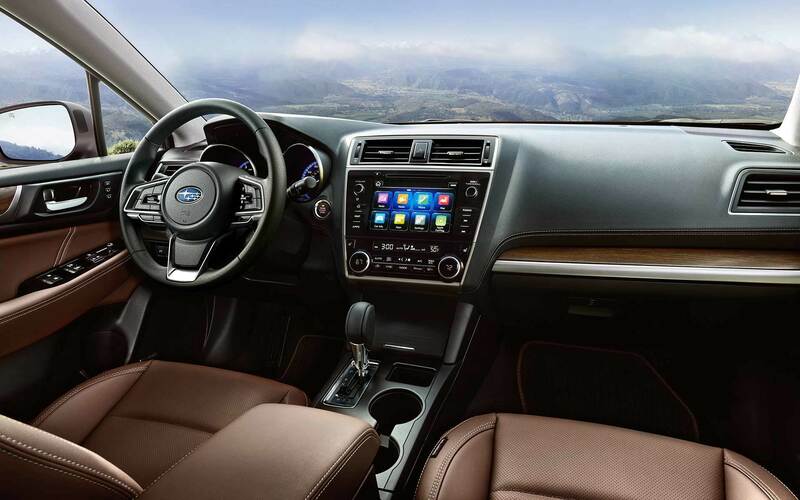 The interior is spacious and packed with smart features to ensure you can enjoy your ride in comfort and style. With up to 108.1 cubic feet of passenger room, you'll feel right at home in the entirely stylized cabin. 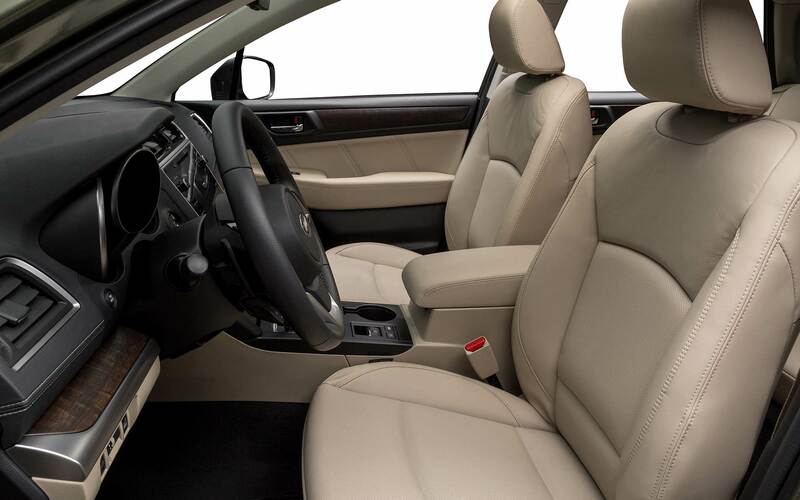 The interior offers upgraded materials and new finishes that can ensure you get the best possible ride with our vehicle. Modern finishing includes a stitched dashboard and door panel trim. The car is also quieter than ever before thanks to the noise-reducing front side glass and the highly aerodynamic styling. The vehicle lets you integrate your Apple CarPlay, Android Auto, and Pandora to ensure you get an incredible driving experience. Come down and explore the wireless pairing options and the hands-free smartphone operation that makes it safer than ever to hold a conversation or adjust your music while driving. A premium audio system rounds everything out and gives you an incredible audio system that has a 12 speaker system and 576-watt-equivalent amplifier. Stop asking the "why buy" question and come down to our Boulder, CO, dealership to find some fantastic deals on the remaining 2018 stock of our Subaru Forester. Smart features have been included in this vehicle to ensure you have outstanding driving experience. Active torque vectoring system can provide you with a sharper, more stable handling experience to ensure you get where you're going more efficiently. The vehicle also comes with a system that automatically senses your steering and brake responses to help keep the car going on the intended path and avoid going off the road. This vehicle is built well, which is why 98 percent of these cars are still on the road from 10 years ago. Come down and explore this legend with us. Stop asking the "why buy" question and come down to our Boulder, CO, dealership to find some fantastic deals on the remaining 2018 stock of our Subaru Forester. You have a few different engine options to choose from. The vehicle comes with a 175-horsepower Boxer engine that gives you exceptional mileage. This car is also designed to provide you with a smooth engine and dominant performance. But, if you want something more substantial, you can get the engine that outputs 256-horsepower with a 6-cylinder engine. You'll get a natural balance with both of these engines, and since they are both horizontal, you'll also have a low center of gravity. 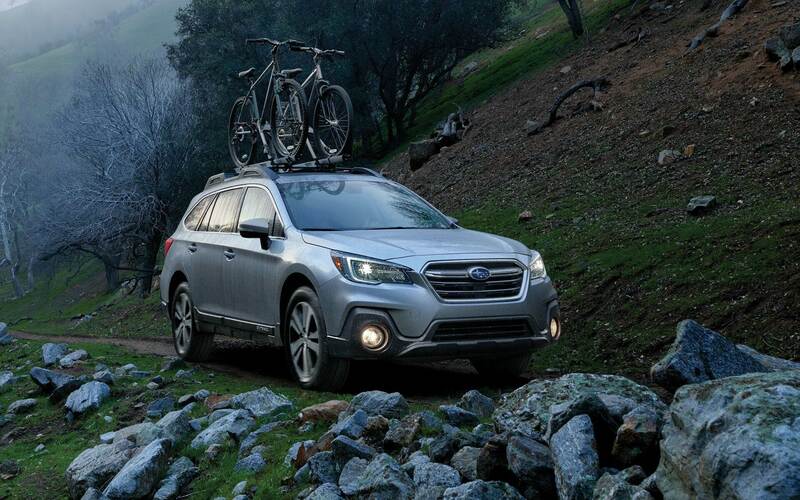 Contact our dealership online, by phone or by stopping by Flatirons Subaru in Boulder Colorado and ask about our incentives on the 2018 Subaru Outback. The EyeSight Driver Assist technology is designed to provide you with an incredible level of power and control. When you come down and explore this vehicle for yourself, you'll be able to find out about all of the incredible safety features. This car is designed with features that can help you come to a complete stop in an emergency situation. It can also detect when you're swaying outside your lane and help you maintain a more stable and enjoyable driving experience. A reinforced safety cage, a full complement of airbags and pre-collision braking are just a few of the features that will protect you in the event of an accident. Come down and explore your options today. Stop asking the "why buy" question and come down to our Boulder, CO, dealership to find some amazing deals on the remaining 2018 stock of our Subaru Forester. We want to help you get into a vehicle you can be proud of, but you need to get in touch with our dealership. Come down and get treated with respect while getting the vehicle you desire. We can get you the financing you need to truly love your new vehicle. This is an informational/opinion based review. Please contact your dealer for complete details.